According to an article in the MetroWest Daily News, a Worcester man was recently arrested for various driving offenses because he admitted to officers that he had been smoking marijuana while operating his car. This past Wednesday, several officers were working on a detail on Union Avenue in Framingham when a passing Toyota sedan drew their attention. The article specifically states that all the officers noticed an “extremely strong odor of burnt marijuana” coming from the car as it passed. One of the officers pulled over the driver and spoke to him. The driver acknowledged that he had been smoking marijuana and handed the officer a joint. The driver went on to state that he “always” smokes and drives because it “relaxes” him. The officer then told the driver that it is “illegal to drive under the influence of marijuana” and proceeded to arrest him. The defendant was ultimately charged with driving under the influence of drugs (marijuana) and driving to endanger. Police also cited him for possession of less than an ounce of marijuana, as the driver provided the officers with a small bag of marijuana. For the Commonwealth to obtain a conviction against the defendant for operating under the influence of drugs, it would have to prove the following beyond a reasonable doubt: (1) that the defendant operated a motor vehicle; (2) that he operated it on a public way; and (3) that while the defendant was operating the vehicle, he was under the influence of marijuana. As to the third element, someone is under the influence whenever he has consumed enough marijuana to reduce his ability to operate a motor vehicle safely by diminishing his alertness, judgment, and ability to respond promptly. This would include anyone who has consumed enough marijuana to reduce his mental clarity, self-control and reflexes, and thereby left him with a reduced ability to drive safely. The Commonwealth is not required to prove that the defendant actually drove in an unsafe or erratic manner, but it must prove that the defendant had a diminished capacity or ability to drive safely. For the Commonwealth to obtain a conviction against the defendant for driving to endanger (under the same statute), the Commonwealth would have to prove the following beyond a reasonable doubt: (1) that the defendant operated a motor vehicle; (2) that he did so on a public way; (3) that he did so in a negligent manner so that the lives or safety of the public might have been endangered. As to the third element, a person acts negligently when he fails to use due care, that is, when he acts in a way that a reasonable person would not act. This can happen either by doing something that a reasonably prudent person would not do under those circumstances, or by failing to do something that a reasonably prudent person would do. The defendant acted negligently if he drove in a way that a reasonable person would not have, and by doing so created an unnecessary danger to other people, a danger that he could have avoided by driving more carefully. A person can be found to have driven negligently even if no accident resulted, and even if there was no one else actually on the road to be put in danger. A person is negligent if he drives in a way that has the potential to cause an accident or to endanger anyone who might be on the road. Fortunately for the defendant, he appears to two defenses to the charges. First, the defendant can argue that the police lacked a legal basis to stop his car. Specifically, under Commonwealth v. Cruz, the odor of burnt marijuana alone is not sufficient to support suspicion of criminal activity and therefore justify a seizure. 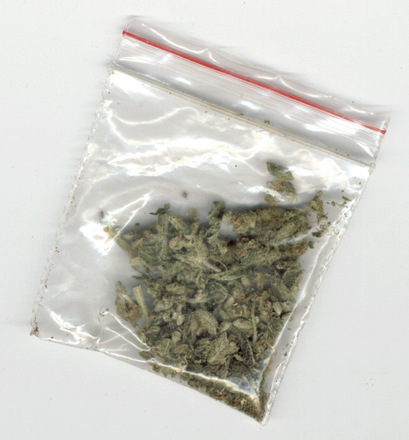 Here, the sole observation made by the officers prior to the stop was the smell of burnt marijuana – officers observed no driving infractions, or any erratic driving. As such, they had no basis to stop the car, and everything that followed, including all of the defendant’s statements and the bag of marijuana, should therefore be inadmissible against the defendant at trial. Second, the defendant can argue that merely smoking marijuana is not sufficient to establish the he committed either of the offenses. Specifically, in order to be found guilty of either offense, the fact that the defendant was smoking marijuana must have impaired his ability to drive or caused him to drive unreasonably. As stated above, the officer made absolutely no observations of any traffic infractions or erratic driving. Likewise, the police did not observe the defendant driving in an objectively unreasonable way. As such, the defendant has a strong argument that the marijuana did not influence, impair, or impact his driving in any way, even though he was in fact smoking the joint. Since the ballot question decriminalizing under an ounce of marijuana passed in 2008, there have been a number of developments in case law relating to the intersection of marijuana and criminal activity. This case is yet another example of an opportunity to challenge police conduct based on misinterpretation of the 2008 law. If you or a loved one has been charged with a marijuana related offense, you too may be in a position to challenge police conduct and the application of the law. Attorney Daniel Cappetta is an experienced and creative attorney who is always seeking novel issues to litigate. Let him put his expertise to work for you – call him today for a free consultation.